Developed by Bandai Namco Entertainment, Pokkén Tournament is an Arcade Fighting style game, very similar to Namco's Tekken series, where two Pokémon battle each other within an enclosed area. The battle fights have two phases. The Field Phase where the players can move freely around the arena, mostly designated for ranged attack moves. Once one of the players decides to take the action into the close range combat, the battle switches to a 2D duel phase, where the Pokémon move linear to each other. Like all the fighting genre, the game makes use of the combo system, where the player has to coordinate and link specific moves together forming a great chain of combos that result in a high output of damage. These combos fill up a Synergy Bar, allowing the use of Mega Evolutions and Special moves. A console type controller is specially introduced with the game, so that Pokémon fans who aren't accustomed to the arcade Joystick and Button controls, won't have hard time getting a feel for the mechanics. 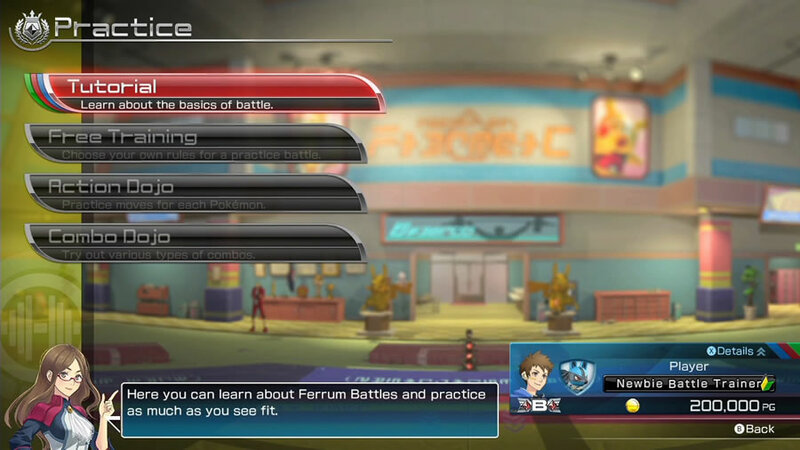 The game also features an online battle mode in which players can battle opponents from different parts of the world, with a fairly balanced ranking system. 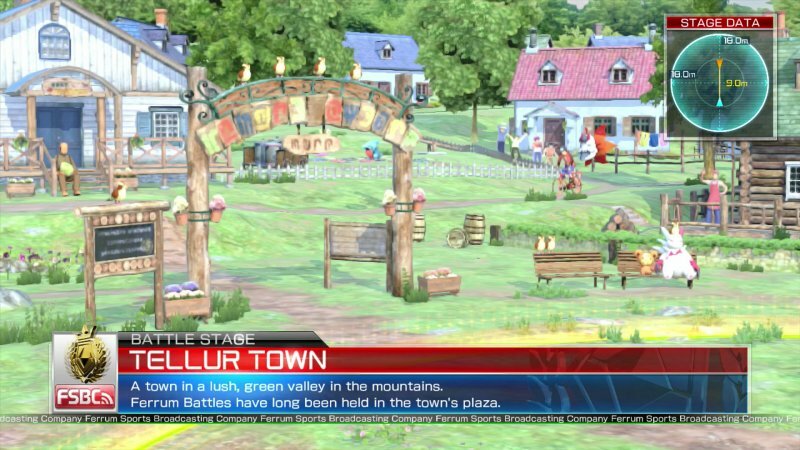 Graphic wise, Pokkén Tournament showcases the best graphics to hit the Pokémon games so far, with highly detailed models and animations, along with very depth focused environment. It is by far one of the best Pokémon spin off games to be released and was very well received by the fans and the gaming community in general. The games single player mode is the only one with a storyline. The game starts out with the player creating their customized avatar and meeting the game guide Nia, who will show them the different game mechanics and help the player reach the top. 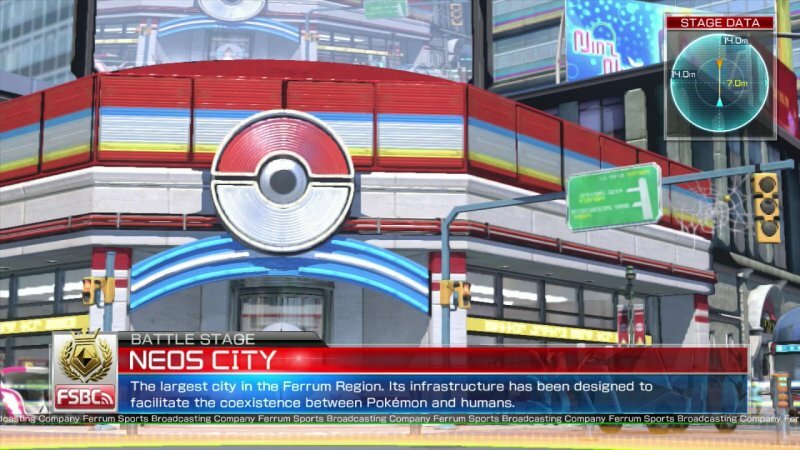 The whole story takes place in the Ferrum Region, where the Ferrum League battles, in which the player participates, are conducted. As the player progresses through the league, they inevitably encounter a strange woman with a shadow Mewtwo which they have to battle with their Pokémon partner. As the player progresses further, rumors about Gaia, the energy of the Synergy Stone linking Pokémon and humans, draining away start to spread out. The Ferrum League gets eventually put on hold as the rumors turn out to be true, and the mysterious woman reappears with her shadow Mewtwo, once again, but this time revealing her identity as Anne, a woman who was once corrupted by a Shadow Synergy Stone and whom Mewtwo saves by sacrificing itself and taking the Shadow Synergy Stone's burden. It turns out that the Shadow Synergy Stone embedded in Mewtwo is the cause of Gaia's drain and Anne reveals that a large amount of energy is needed in order to purify Mewtwo and save him from the stone's corruption. She then takes the player to the Regi Ruins where they meet Walter, one of the elders of her People. Walter announces that Mewtwo's fate depends on storing enough high level energy in the special Brooch Anne has. To do so, the player and Anne start targeting very strong enemies, but before they collect enough energy, Anne realizes that time ran out, and they have to act immediately. Anne, Nia and the player head to Mewtwo's hideout within a deep forest in the north of the Ferrum Region. There, the fateful encounter takes place, as the player and their Pokémon partner, fight one of the hardest battles in game. Once Mewtwo is defeated, it faints and gets purified with the Brooch's help. Now, that it is restored to its original form, Anne thanks the player and offers Mewtwo to them, as she believes the player would take better care of it. This unlocks Mewtwo to the character list, and reopens the Ferrum League. 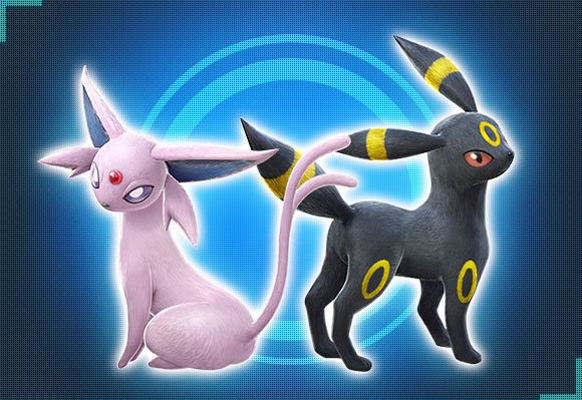 Reach the top of the Ferrum League and the Shadow version of Mewtwo will be finally unlocked. 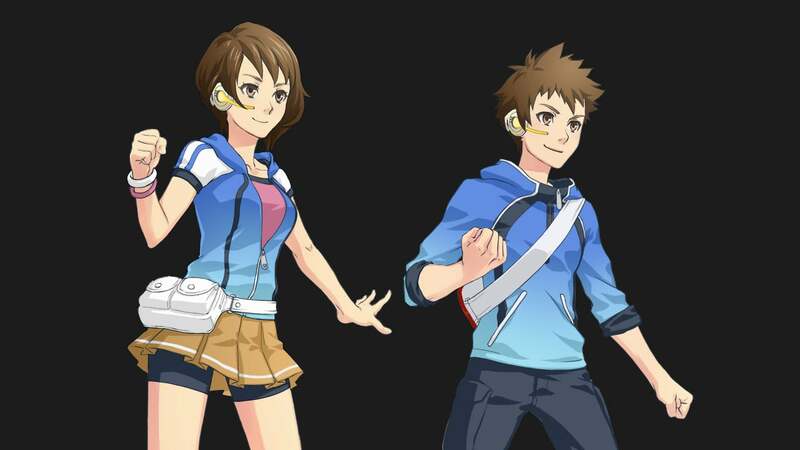 The male and female avatars you play as in Story Mode. There are 16 playable characters in general, with two of them unlocked after finishing the story mode. There are additionally 4 characters that were added exclusively to the Arcade and the Nintendo Switch versions of the game and one that is only added to the Nintendo Switch. The game also features a Duo set of assist characters a player can use within battle. 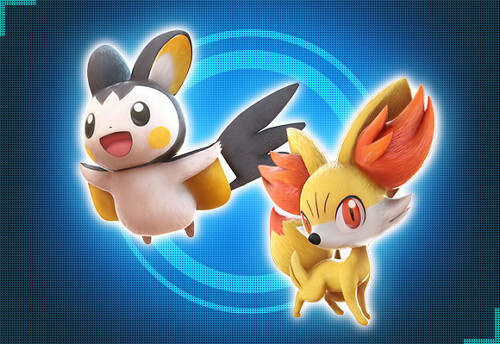 The pair of assist Pokémon will appear in the fight and assist the player either by attacking the opponent or healing the player. Assist Pokémon: There are 15 Pokémon assist pairs available on all platforms and an additional one exclusive to the Nintendo Switch version. It is important to know that the assist Pokémon cannot knockout the opponents with their hits. Emolga & Fennekin Emolga attacks the opponent with Shock Wave, reducing their speed. Fennekin creates a fire trap. 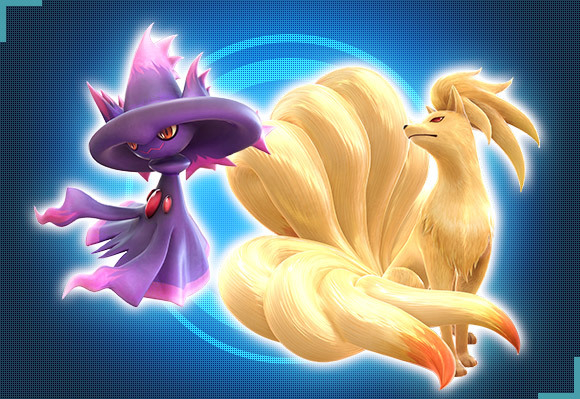 Ninetales & Mismagius Ninetales launches flames in front of the player with Will-O-Wisp. Mismagius attacks the opponent with Ominous Wind, while increasing the player's attack power. 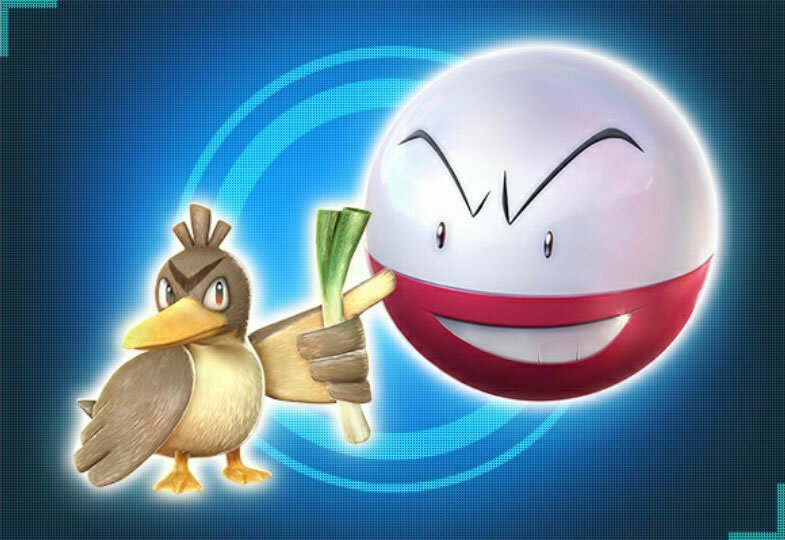 Electrode & Farfetch'd Electrode counters the enemy's attack with Explosion. Farfetch'd attacks the enemy with Fury Cutter. 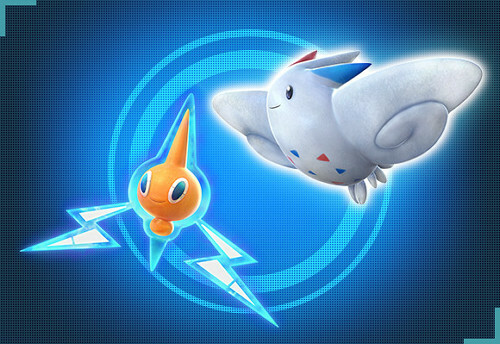 Togekiss & Rotom Togekiss heals the player for a small amount and increases their speed with Tailwind. 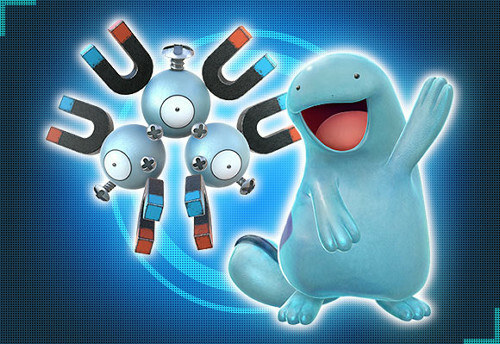 Rotom Thunder Shocks airborne enemies. 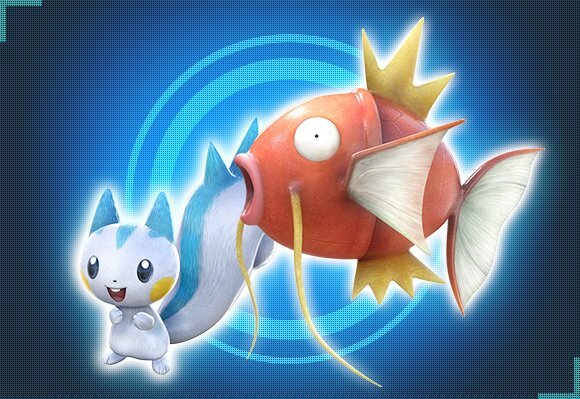 Pachirisu & Magikarp Pachirisu nullifies long range attacks with Follow Me. Magikarp disrupts the enemy's attack with Bounce. 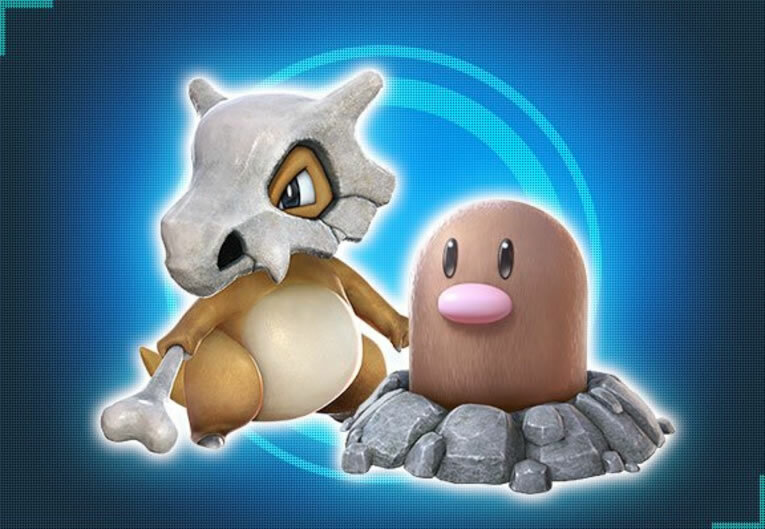 Cubone & Diglett Cubone attacks and pulls the opponent closer with Bonemerang. Diglett attacks the enemy from underneath with Dig. 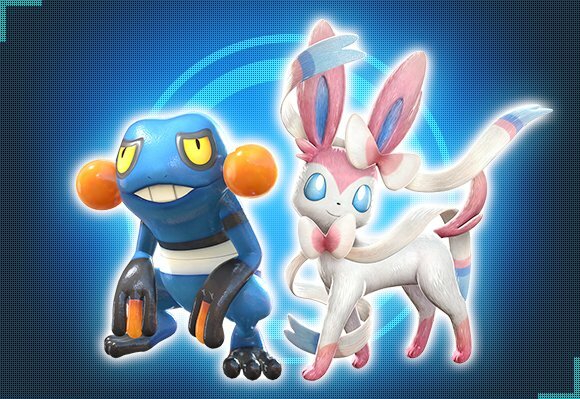 Croagunk & Sylveon Croagunk attacks the enemy with Toxic, reducing their defense. Sylveon heals the player and increases their defense with Reflect. 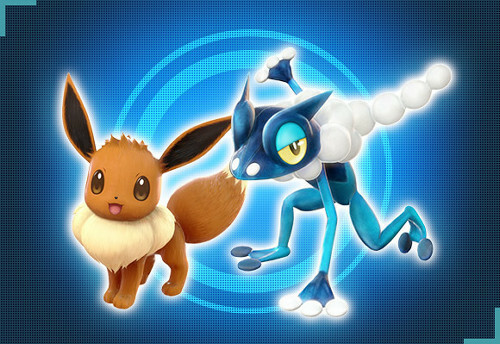 Eevee & Frogadier Eevee heals the player and increases their attack for a small duration of time with Helping Hand. Frogadier attacks the opponent from long range with Water Pulse. Umbreon & Espeon Umbreon absorbs the enemy's Synergy Gauge and stops them from doing critical hits, with Snarl. Quagsire & Magneton Quagsire attacks the opponent while it's stepping on the ground. This attack cannot be blocked. 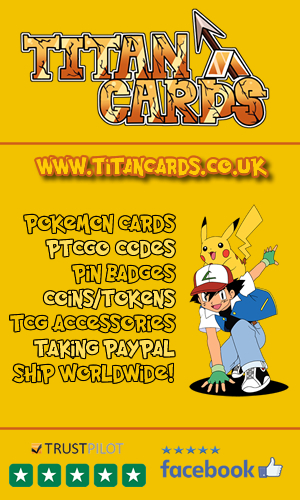 Magneton launches a diagonal upword attack with Tri Attack. 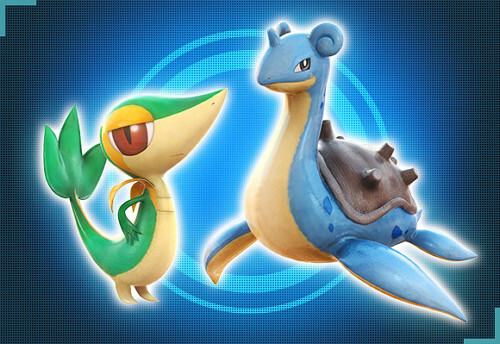 Lapras & Snivy Lapras attacks the enemy with Surf. Snivy attacks the opponent with Leaf Tornado, knocking them in the air. 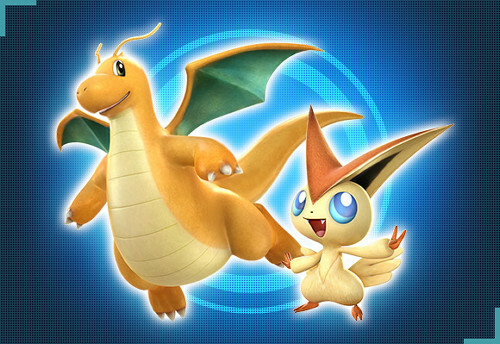 Victini & Dragonite Victini forces the player's attacks to be critical hits, increases the player's Synergy Gauge and restores some health to them, with V-Create. If Victini is below the opponent while it's leaving the screen, it will hit them for a small amount of damage. Dragonite attacks a large area multiple times with Draco Meteor. 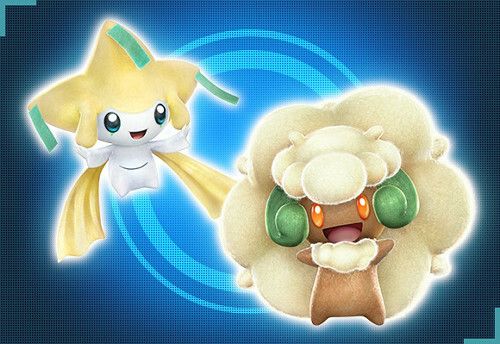 Jirachi & Whimsicott Jirachi increases the player's Synergy Burst damage, while restoring their Synergy Gauge with Wish. Whimsicott heals the player and nullifies the enemy attacks. 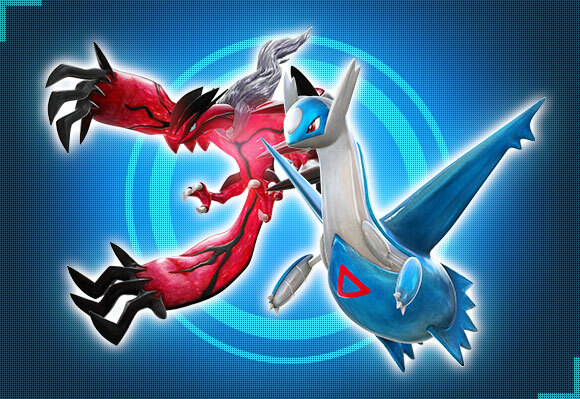 Yveltal & Latios Yveltal attacks with Oblivion Wing from the sky, locking the Synergy Burst of the enemy. Latios Restricts the opponent's movements by surrounding them with attacks with Luster Purge. 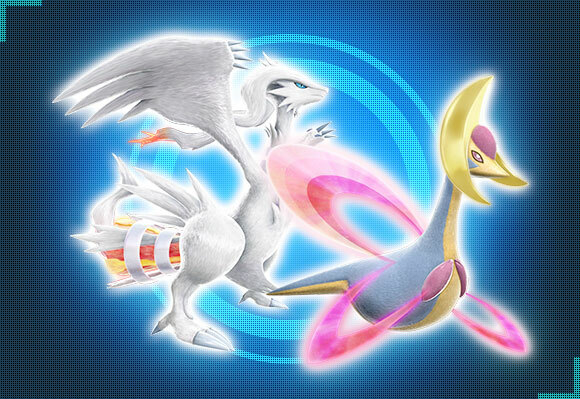 Cresselia & Reshiram Cresselia restores the player's health and Synergy Gauge, while clearing them from all statuses with Lunar Dance. Cresselia can only be used once each round. Reshiram launches a devastating forward attack with Blue Flare. Popplio & Litten Poplio increases the player's attack and allows them to use double jump with the help of Bubble Beam. Litten attacks the enemy with Fire Fang. This skill's damage will increase as the player's health decreases. Free Battle: Where the player can test themselves against a random opponent from their current league, without affecting their ranking nor their records. 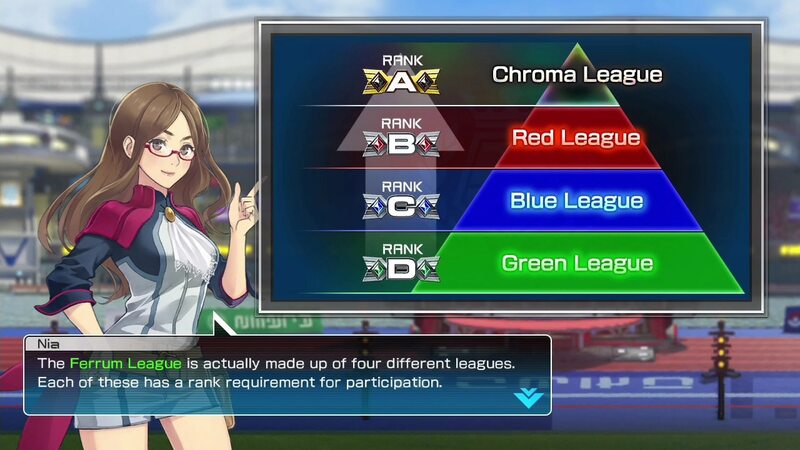 League Match: Here the player will battle different trainers, and each 5 matches they'll either gain or lose rank based on their performance. Once they reach the top 8 trainers they'll be eligible to participate into the Tournament. League Tournament: Three battles are conducted in total within the Tournament, and its champion gets to pass the Promotion Test against the League leader. Promotion Test: The player will have to face the strongest opponent in their league, and must defeat them to move up in ranks. Single Player: A casual match mode, where the player faces a random AI. Local Play: It lets the player face local opponents. Players can participate in this mode through two different ways. The first way is to link two Wii Us with a LAN Cable. The second way is by making a player use the Wii U GamePad, and the other one would have to use to use any other controller linked to the Tv. The first method keeps the fps at 60, while the second one drops it to 30. Online Play: An online battle mode where players can face each other, either within a ranked game or a casual one. The casual game can be done against players on the friend list or those that enter the same Battle Code as the user. The Ranked battles, on the other hand, are done against random online trainers, awarding the winners ranked points that upgrades their ranking compared to other players. Free Training: A mode with no time restrictions and where the Pokémon have infinite health . The player can test pretty much anything here. Tutorial: Here the player is taught the basics mechanics of the game. Action Dojo: the Action Dojo will show the player new tricks and strategies, that can be used in different battle situations. Combo Dojo: It's where the player is taught some combos, or they can figure new ones on their own and test them out. My Town: It's where the player can access different features of the game, such as their player profile, which allows them to spend the earned points to edit the visual appearance of their avatar, their title or even the name that they have when they're online. 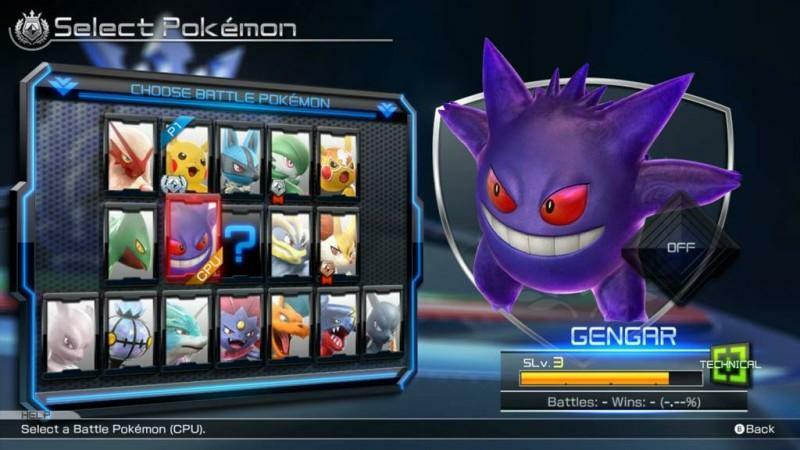 They can also edit and improve their Pokémon stats here, along with accessing the Battle Code feature which generates a code that can be shared with another player, to fight them online. Moreover, they can even edit Nia's appearance and voice and how talkative the want her to be. 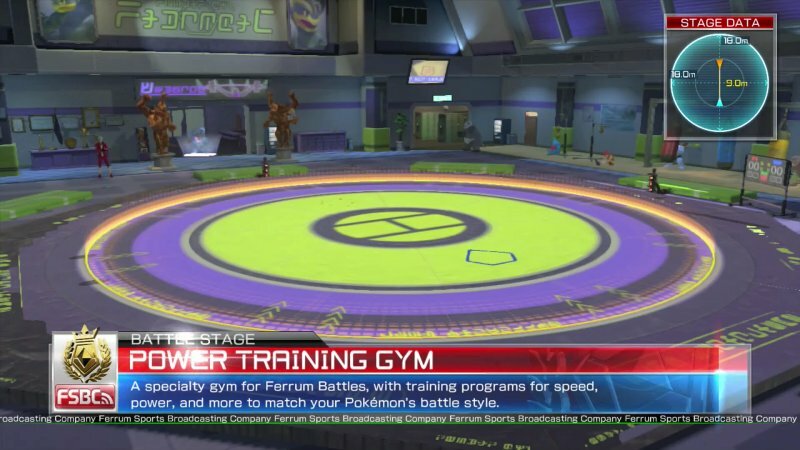 Training Gym: A Pokémon Gym with a formal battleground. 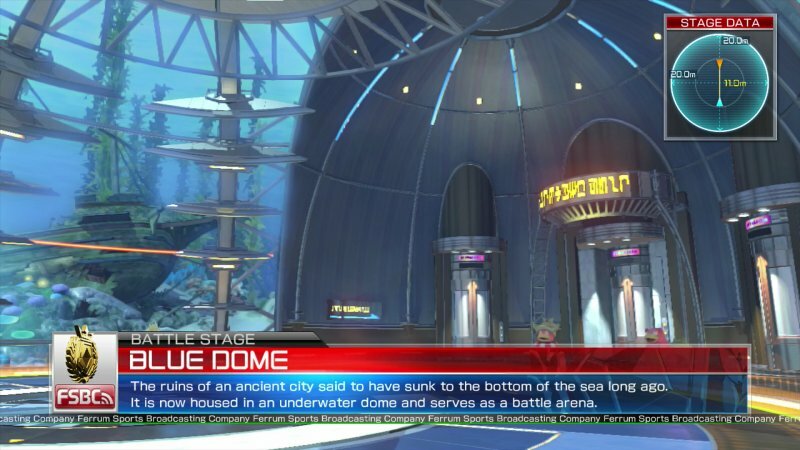 Blue Dome: An aquatic arena in the depth of the sea. 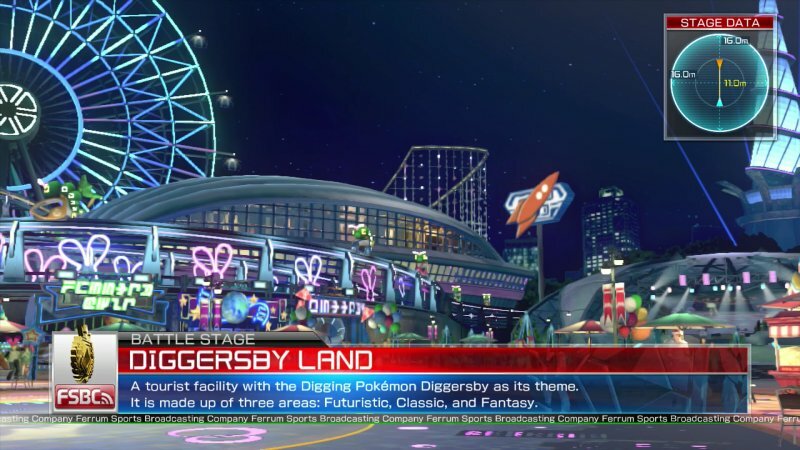 Diggersby Land: An arena located in an amusement park. 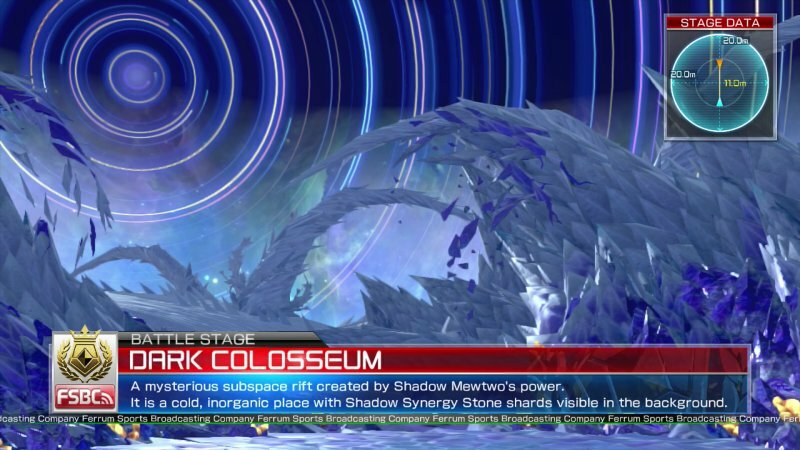 Dark Colosseum: A weird platform in space decorated with Shadow Synergy Stone Shards. Dark Colosseum (Final) : Another version of the subspace area, but with different colorations. 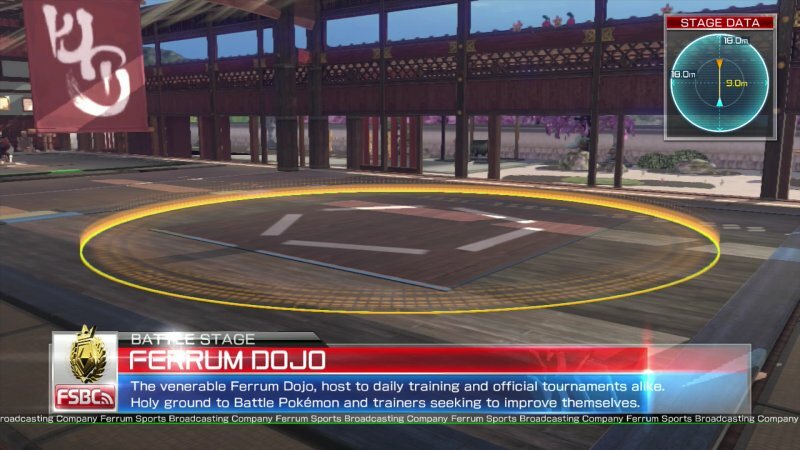 Ferrum Dojo: A small Dojo built in the Japanese classic Dojo style. 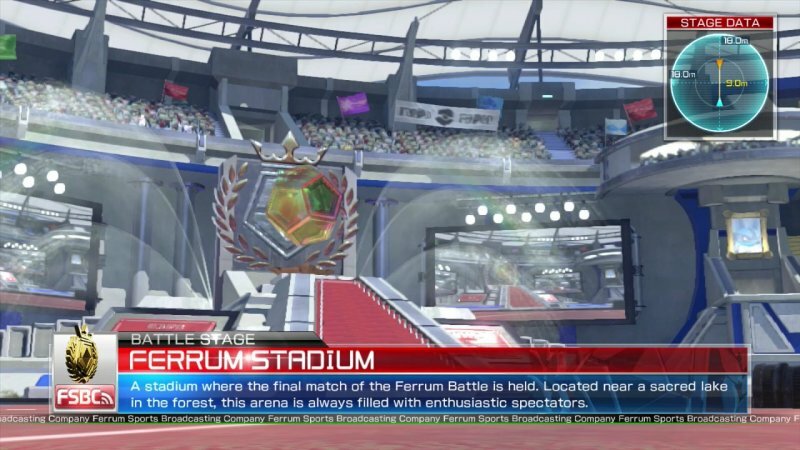 Ferrum Stadium: A stadium located near a large river, filled with many spectators. 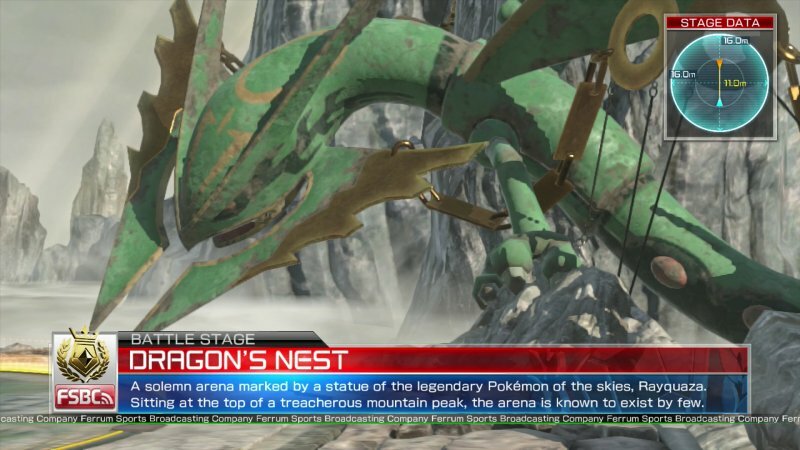 Dragon's Nest: A battleground built on the peak of a mountain and decorated with Rayquaza's statue. 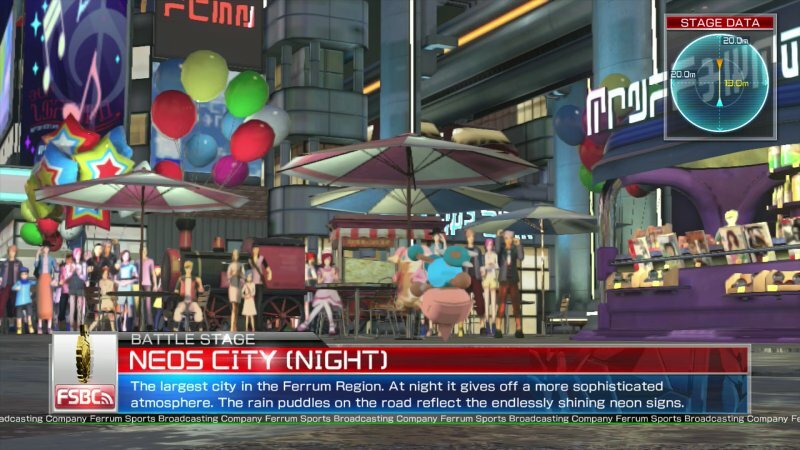 Neos City: The battleground is in the middle of the road, in the biggest city in Ferrum. Neos City (Night): The same road battleground but at night time. 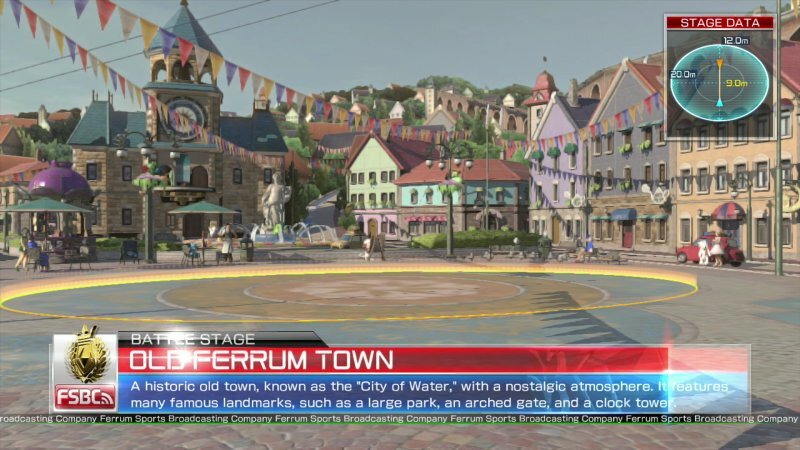 Old Ferrum Town: The battleground is built in the town square, from where the different town structures can be observed. 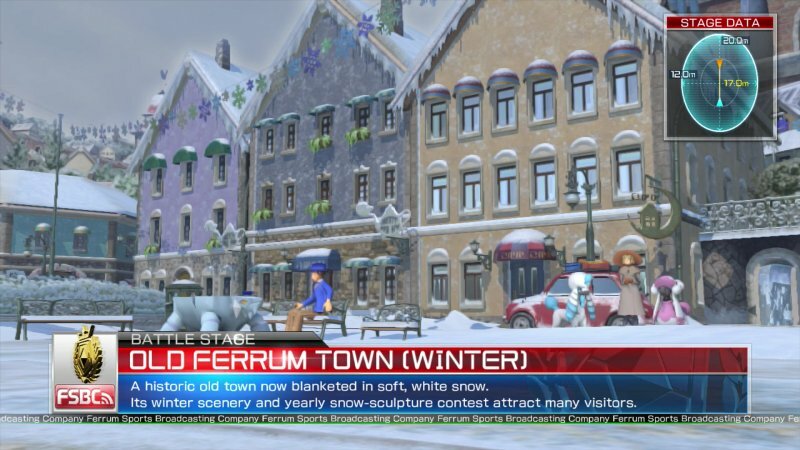 Old Ferrum Town (Winter): The same town square battleground, in winter time. 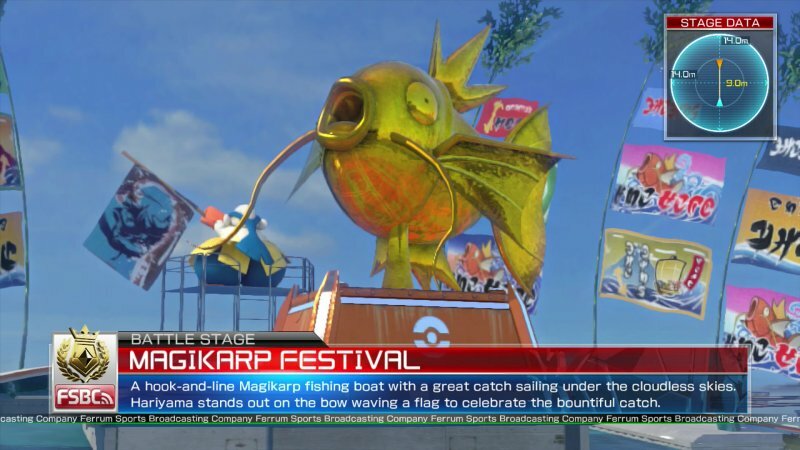 Magikarp Festival: A battleground built on a big fishing boat, decorated with a golden Magikarp statue. 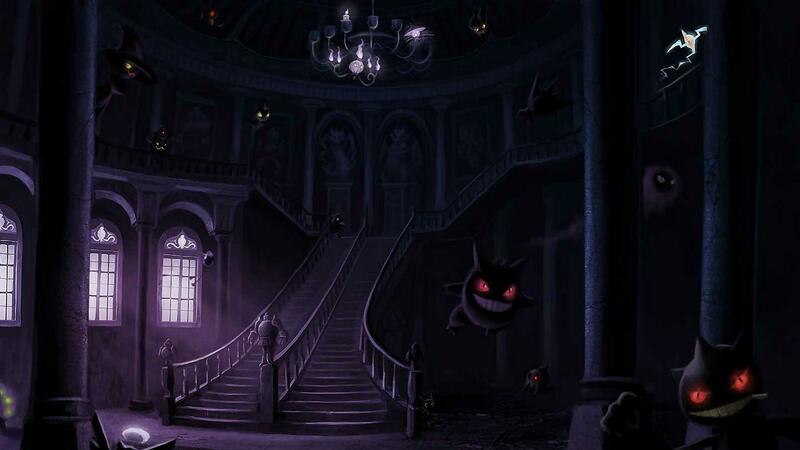 Haunted House: A haunted, abandoned old manor where many Ghost-Type Pokémon can be seen. 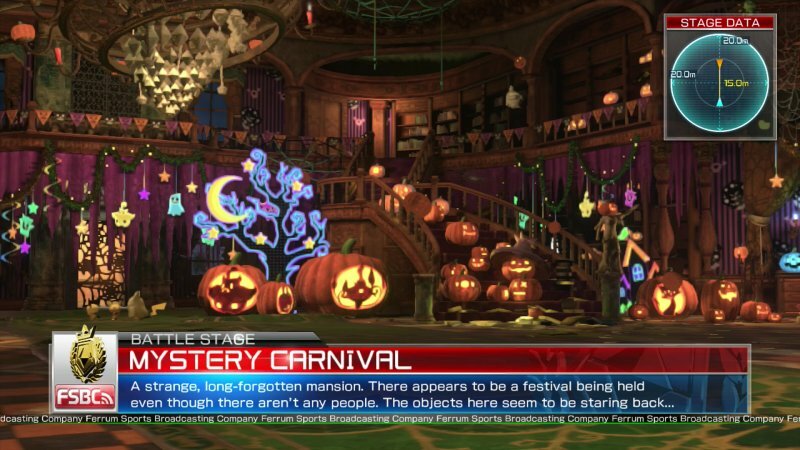 Mystery Carnival: The same haunted manor but at the festival time, looks like Halloween if I ever saw it. It's decorated with different ornaments, and the objects seem strangely alive. 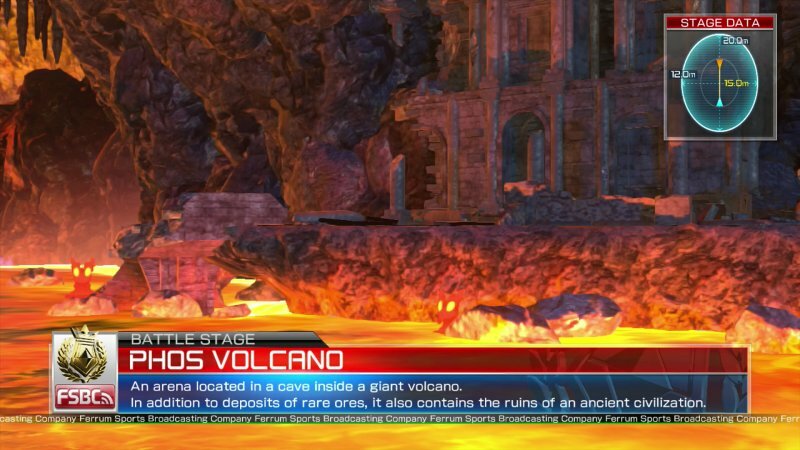 Phos Volcano: The battleground here is built on an active volcano, where the lava and the some strange ruins can be seen. Tellur Town: A town built in a green area, where battles take place near the road. 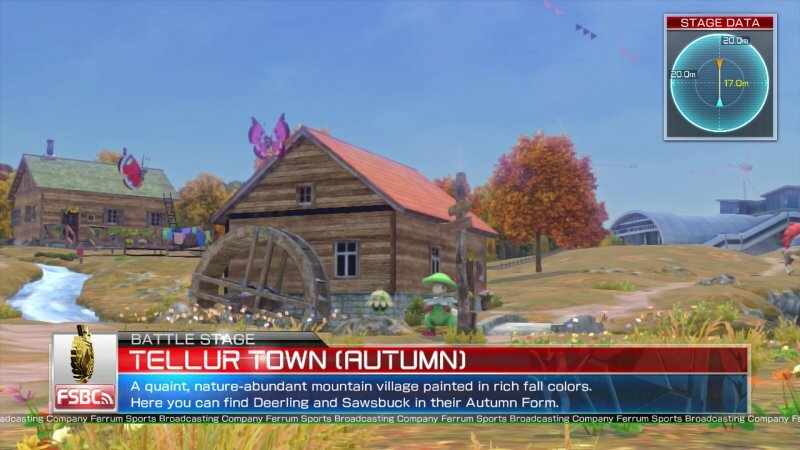 Tellur Town (Autumn): the same town but in autumn time. 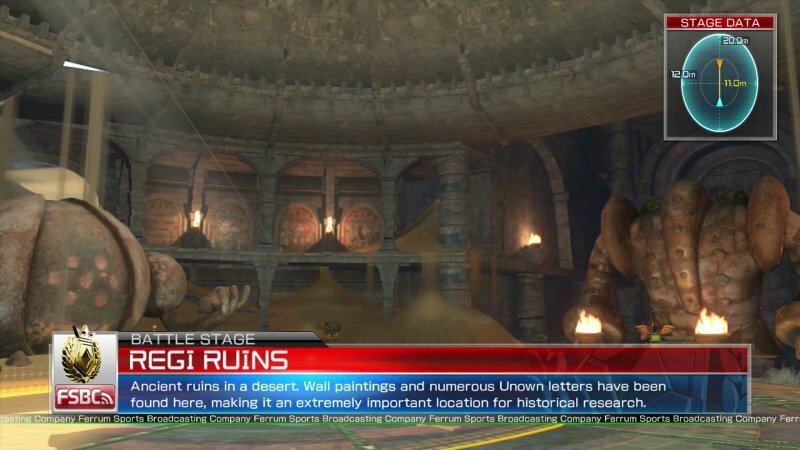 Regi Ruins: Strange ruins found in the desert and decorated with the statue of four Colossal Pokémon. The Amiibo Functionality: It allows the player scan the Amiibo Cards to temporally unlock some Pokémon characters like the Shadow Mewtwo, or scan the Amiibo Figures to randomly unlock prizes ranging from customization items to titles. The Pokkén Link Web and Pokkén Link Web Premium: It's an online mobile web client that lets players that own a Bana Passport and account, access their accounts and edit different things like their avatar or Pokémon. The free version of the app got several restrictions while the paid Premium one, lets the player edit everything. Check out these Pokkén Tournament videos including TV Commercials, Trailers and the intro video. None of the face options in character customization have facial hair, although the shop face icon has a moustache. 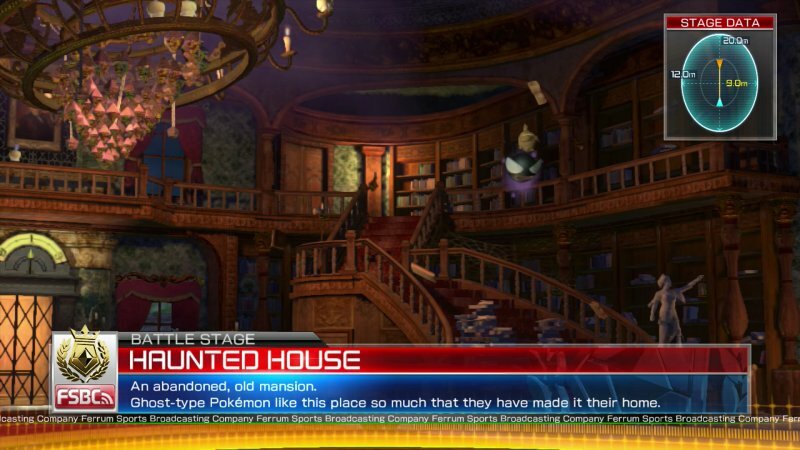 In the Haunted House stage there's a girl that resembles the Frantic Maniac from Pokémon X,Y, Alpha Sapphire and Omega Ruby trying to open a door. It is notable that no Rock-Type Pokémon is present neither within the playable Pokémon list nor the Assist Pokémon one. Furthermore, none of the playable characters is of Normal-Type. 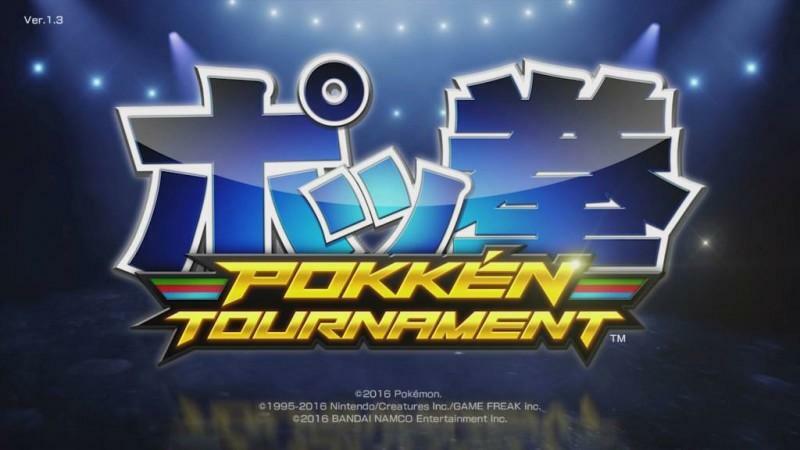 Due to the fact that "Pokkén" when pronounced in German can mean "smallpox", the German version of the game was renamed Pokémon Tekken instead of Pokkén Tournament. The game's trailer scene where Mega Lucario attacks and fires off an Aura Sphere can be a reference to Super Street Fighter 2's opening where Ryu attacks and fires off a Hadouken. 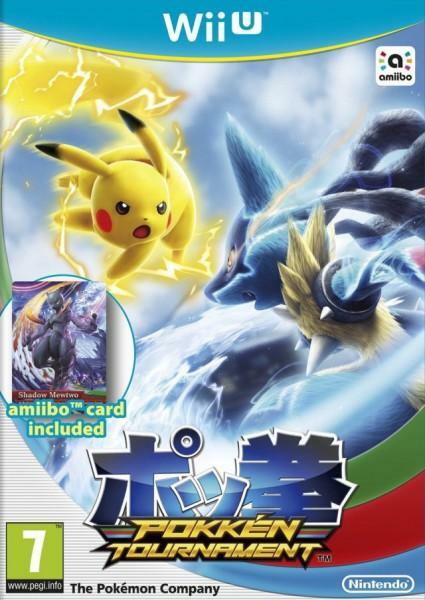 Pokkén Tournament is the only Pokémon game that still used the Japanese Logo in its international release. 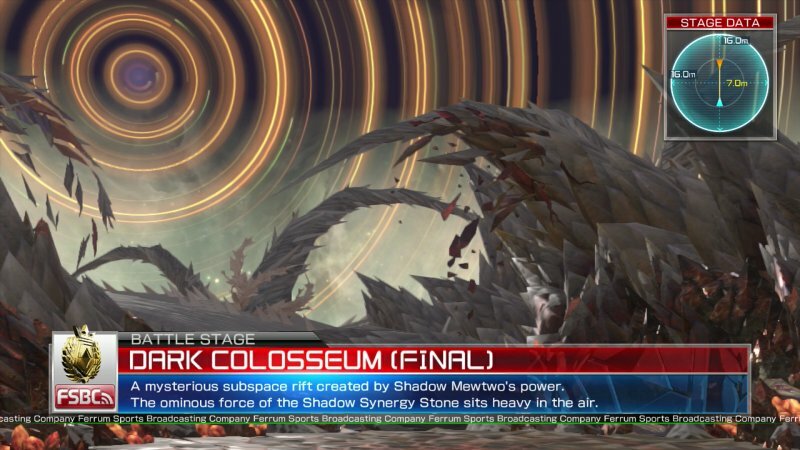 The Shadow Mewtwo is a reference to Pokémon Colosseum and Pokémon XD: Gale of Darkness, where Shadow Pokémon were introduced. 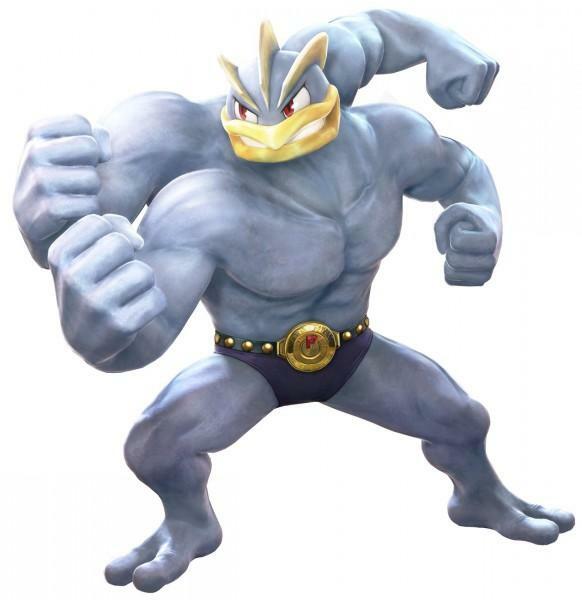 The name Pokkén is a combination of both words Pokémon and Tekken. The Combo animations are very similar to Tekken 7's Rage Arts. Pokkén Tournement was supported by many advertisement campaigns even before it was released, and managed to achieve quite successful sales. Within the first three weeks of its release, the game sold around 116 thousand copies in Japan, 128 thousand in Europe and over 267 copies in the USA, with a global number of 578 thousand copies. The sales continued to increase further and further and the games is estimated to have sold 143 thousand copies in Japan, 173 thousand in Europe and nearly 400 thousand in the USA, reaching a final total 1.32 million copies around the whole globe. 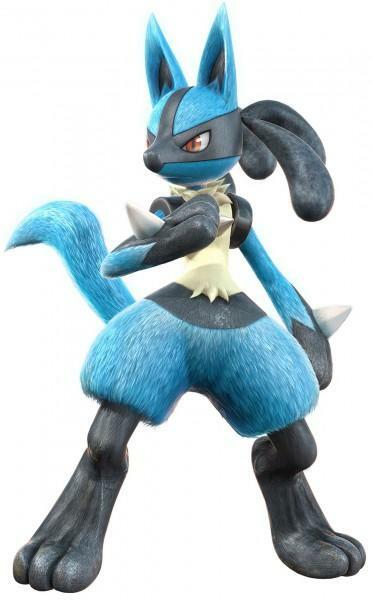 Darry Huskey from IGN was fascinated with the game graphics and especially its fighting mechanics, stating "Pokkén Tournament does do a good job, though, at alleviating this bloat of mechanics with single-player modes to help ease into the action. ", all while rating the game 8/10, the equivalent of "Great" on their scale. Tamoor Hussain from GameSpot also was stupefied by how amazing the game was, which clearly shows in his statement "Nintendo’s Wii U provides a paucity of fighting games, but Pokken Tournament has redeemed that drought by being one of the best on any platform. Frequently magnificent to look at, delicately designed, and rewarding for players across all skill levels, it’s the Pokemon fighting game deserving of a 20-year wait." He accordingly, rated the game 9/10, which equates to "Superb" on the GS scale, and maybe one of the highest scores a Pokémon game has earned. On GameRankings, Pokkén Tournament earned a high score of 76.91%, over 47 reviews, while it scored 76%, over 74 critics, on Metacritic. Overall, and as stated by the different reviewers, Pokkén Tournament is one of the best Pokémon Games to be ever released, successfully blending the Pokémon world and skills with the Fighting genre.